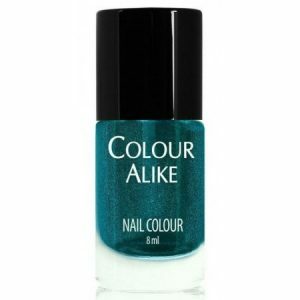 A water based nail polish that has been formulated for use as a peel off base coat. This polish has been specifically made to stay on your nail, until you need it to peel off. Makes removing glitter polishes a breeze! For best results ensure your nails are clean, dry and oil free. A quick swipe with acetone may be needed. Apply one coat and allow to dry completely. Being water based, this product is slower drying than a regular base coat that you may be used to using. A hair dryer can be used to speed up the drying process. If you are planning to wear you polish for a number of days, or if it is a relatively thin polish then a second coat maybe be necessary. One coat should be sufficient for heavy glitters or under gel polish. When you are ready to peel off your polish, just lift an edge with an orange stick and peel. INGREDIENTS ; Polyurethane, Acrylates Copolyer, Stearalkonium hectorite, Propylene Glycol, Water.